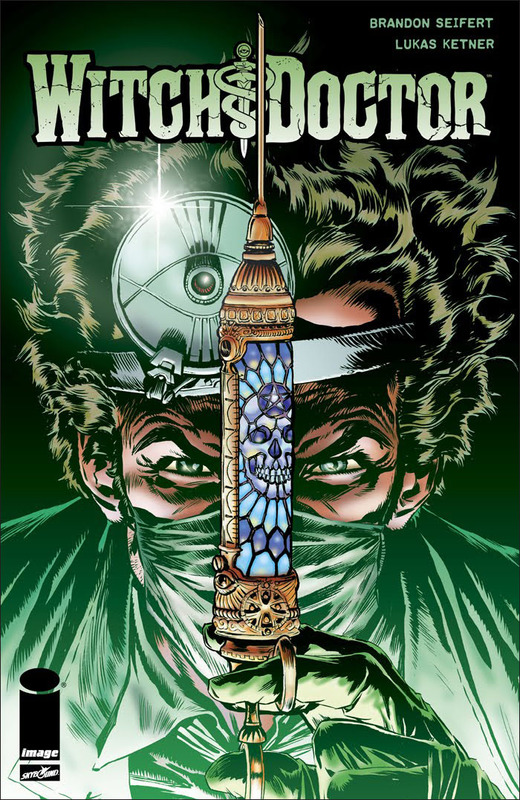 Witch Doctor is a four issue mini-series written by Brandon Seifert and drawn by Lukas Ketner. It was published through Robert Kirkman's Skybound imprint at Image Comics. 1. You got your medical drama. 2. You got your supernatural/horror action sequences. 3. You got your dark humor (and it's dark – and it's FUNNY). 4. You got your fantastically detailed artwork. 5. You got your fully realized characters (The main character, Dr. Vincent Morrow, is a clever, intriguing, and ultimately lovable douche-bag, while Penny Dreadful is one of the best new horror characters created in recent years). 6. You got your endless possibilities for all sorts of new stories limited only by the imagination of the creators. 7. You got two comic creators so excited about and in love with what they are doing that their enthusiasm flies off the pages (it's infectious). 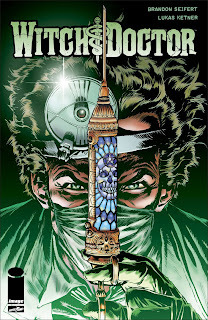 This first mini-series has ended, but Seifert and Ketner promise even more Witch Doctor in 2012.